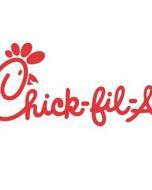 Mitt Romney never answered where he stood on the Chick-fil-A president Dan Cathy’s anti-gay-marriage stance. On that controversy and Michele Bachmann’s Huma Abedin remarks, Romney computed: “Those are not things that are part of my campaign.” But now documents have answered for Romney, or for his campaign at least: Their latest federal campaign finance filing included a $500 “meeting expense” for items ordered at an Atlanta Chick-fil-A, reports Politico. Without even seeing the receipt we were able to determine that the Carrot & Raisin Salad was a popular order, second to only the Char-grilled Traditional Marriage Chicken Sandwich.